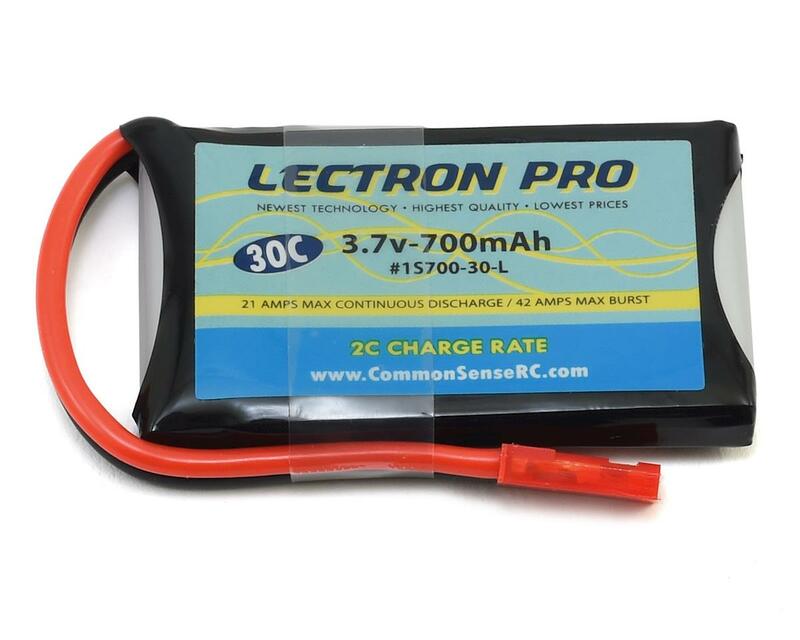 The Common Sense Lectron Pro 1S LiPo 30C LiPo Battery was developed for the LaTrax Alias Quadcopter! 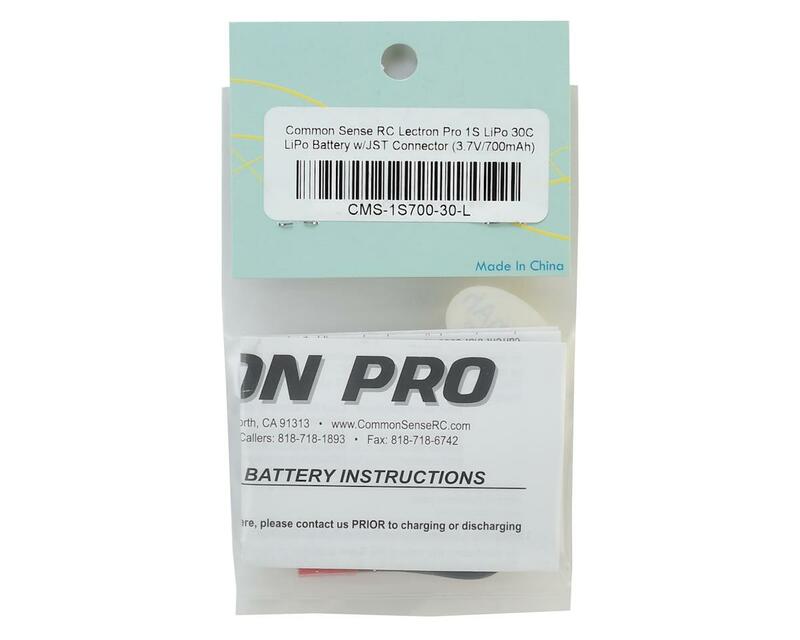 Includes a JST connector on the discharge leads. Rated and tested at 21 amps continuous discharge with 42 amp bursts.